While there are a whole host of insects we don’t want in our gardens, one insect every garden needs are bees. You might think of these little-winged bugs as pests but the truth is they do more for your plants than most gardeners! They help to pollinate crops and flowers and ensure a vibrant garden. In fact, 35% of the world’s crop production are reliant on pollinators like bees. The only problem is, the bee population is under serious threat from a number of factors. So, what can you do to encourage bees to pollinate your garden? 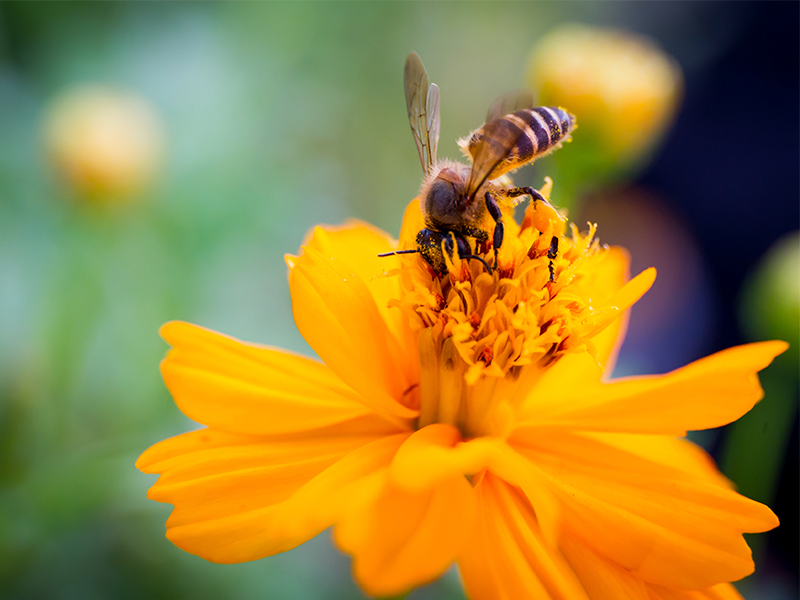 Use garden care products that are bee-friendly. Plant flowers and plants that are nectar and pollen rich from September to March, when the bees are most active and not in hibernation. Aster, Cornflower, Verbena and Foxgloves are all good options and thrive during this time. Use our Wondersol Colour Boost Plant Food, Wonder 2-3-2 Bio Carbon Boost Granules or Wonder 3-1-5 SR to help them flourish even more. Encourage bees to nest in your garden by leaving plant pots, old tea pots and cardboard tubes in flowerbeds to act as suitable nesting sites. Ensure there is water in your garden for pollinators to drink from – a small water feature or bird bath is enough. For more information on our range of Wonder plant and flower nutrition products, please visit the products page.